The Lightwriter SL40 Quick Release Mount Plate for the SL40 is designed to be combined with a wheelchair, table or floor mounting systems. Compatible with DAESSY, Rehadapt and Toby Churchill Ltd mounting systems and any VESA connection. 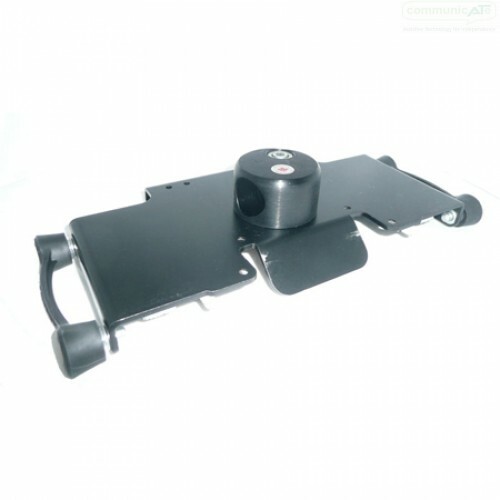 The quick release mount plate for the SL40 is designed to be combined with wheelchair, table or floor mounting systems. This is the component that secures the SL40 LightWRITER to the mount. The SL40 LightWRITER's strap brackets fit into this mount plate. The spring loaded handles at each side permit easy attachment and removal of the LightWRITER from the mount plate. VESA mounts (this is the Video Electronics Standard Association's display mounting interface standard (commonly used for computer monitors), usually consisting of 4 screw mounts arranged in a square with horizontal and vertical distance between the screw centres being 100mm and 75mm. Screws used are typically 4M thread and 10mm deep. 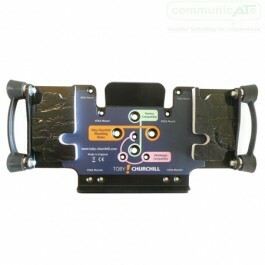 This mount plate accommodates both the 75mm and 100mm configurations. NOTE: This mount plate requires the LightWRITER SL40 strap brackets to be fitted. In Australia the strap brackets are supplied fitted as standard with all LightWRITERs. 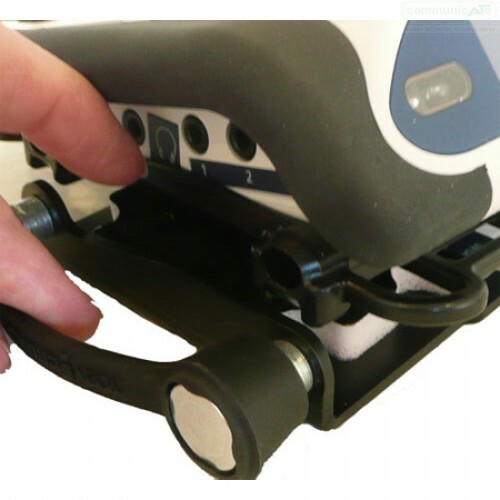 The quick release is achieved by pulling the release handle at either end of the mountplate. The handle is spring-loaded and pins at each end are inserted into the base brackets on the LIghtWRITER. Pulling the handle releases these pins. To connect to the Daessy system an additional connector is required, and can be supplied by Zyteq.